Rotator cuff conditions are very common, especially among athletes, older adults and those with jobs or hobbies that require repetitive overhead arm movements. If you are experiencing symptoms, finding a doctor who specializes in correctly diagnosing rotator cuff problems is the first step in finding the right course of treatment for you. Dr. Stephen Soffer is a skilled orthopedic surgeon offering individualized care for those with rotator cuff injuries and conditions in the Reading, PA area. 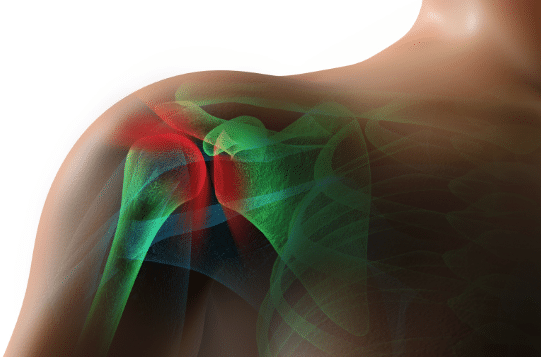 – Have you ever had a shoulder injury in the past? – How long ago did your shoulder pain start? – Do you also have pain in your neck? What about pain traveling down your arm? – How severe is the pain (on a scale from 1-10)? – Are you experiencing numbness or weakness in your arm? – Are there any specific activities or movements that make your shoulder pain worse? What about ones that make it feel better? – Is your shoulder pain interfering with your ability to do your job or enjoy your hobbies? In some cases, Dr. Soffer orders imaging tests to assist him in diagnosing rotator cuff problems. For instance, he may suggest that you get an X-ray, ultrasound and/or MRI of your shoulder to help him determine what is causing your symptoms and how to best resolve them. Dr. Soffer has years of experience in accurately diagnosing rotator cuff problems and then addressing them using the latest, least invasive rotator cuff treatment methods possible. Thus, he is a highly qualified choice for your care if you are experiencing lingering shoulder pain and discomfort. If you’re ready to explore your shoulder care options with a doctor who specializes in diagnosing rotator cuff problems of all sorts, call our office at 610-375-4949 to schedule an appointment with Dr. Soffer. We look forward to helping you get rid of your shoulder symptoms as quickly as possible.